Little did I know when delivering the First Timers brief at the very first Didcot parkrun on 21st February 2015 that I’d be spending the next four years as a parkrun volunteer, Run Director and Event Director. In those early days I used to wake up worrying that no one would turn up we had an average of 80 runners in the first year and seen the event grow with numerous attendance records recently seeing numbers rise to consistently over 300 runners, joggers and walkers. parkrun has changed my life forever and given me much to be grateful for, I have met some fantastic people during my parkrun journey and many of whom I now call friends. The four years of early mornings on Ladygrove Park has been nothing short of magical, especially when the sun is out of it’s been a frosty morning. The peace and quiet when setting up the course and only sharing it with an occasional dog walker or rabbit is so tranquil. Just once this summer I urge you to come out early and soak up the park’s energy, it’ll fill you with joy for the whole day...I promise. There have too many highs to share here and I can bore you with them in person but I am so proud of how Didcot parkrun has blossomed into a fantastic community event and more than just a run in the park. The run is clearly important as without it we couldn’t facilitate our community activities. The collection we held in aid of the Didcot Foodbank prior to Christmas was excellent and well received, the various takeover days has been special with regular takeover from running clubs and the extra special Didcot Slimming World takeover which saw members of Didcot parkrun signing up to eat better and lose a few pounds but the flip side is we saw a growth in runners and volunteers with Malcolm, Angela and Carol regularly out on the course marshaling. parkrun cannot function without a core of regular volunteers and currently I am the last remaining member of the original team having seen a healthy transition of Run Directors and Core team members but today will be my last day as Event Director of Didcot parkrun. I have worked with some seriously dedicated and special people throughout the initial setting up stages right through to the current day who have supported not only myself but the wonderful event that it now is and I knew that one day I would step aside to let someone else experience the wonderful things I have as the ED. This hasn’t been an easy decision as I love Didcot parkrun and being part of the team but all good things have to come to an end. I am leaving the wonderful team in very capable hands and the event will move in a new direction with a Co-Event Director team in Helen Brind and Sue Henderson. The major factor in my decision is so I can focus on being a more effective Event Support Ambassador for parkrun, there are many new events in the pipeline for our area along with some fantastic established events that need weekly support so not being involved in the weekly running of Didcot parkrun means I have more time to spend in my volunteer role for parkrun. As one thing comes to an end, a new one is beginning and I’m super excited to let you know that junior parkrun will be coming to Didcot later this year and I’ll be leading the newly formed team as a Co-Event Director. There will be more info in the near future as the team gathers experience with training and test events as we move through the activation process and we hope the event will be as successful as current Didcot parkrun 5km event. HMP Spring Hill (near Bicester) – Collection of new and used running trainers and t-shirts. parkrun has launched a series of parkruns in prisons throughout the UK and I have been fortunate enough to experience Springhill parkrun as it is not open to the general public. The inmates are in resettlement stages and close to release into the general public with many unable to run or use the gym due to inadequate personal equipment and I would love it if we could make a small donation to support some of the inmates. More information on both collections will be published this week and I would love you to consider supporting one or both of the collections as they will make a huge difference to the receiving communities. Thank you for the wonderful memories and support you have given me, my life has certainly been enhanced through my experience as Event Director at Didcot parkrun, I can only ask that you give both Helen and Sue the same support and if you haven’t volunteered yet then please do consider joining in one weekend as it really does make a difference. My last role in the Core Team will be as Run Director on 4th May for the Star Wars themed event so please join me as I say thank you to our wonderful parkrun community and RD for the last time. It's with great pleasure for us to announce that from today, Helen Brind is stepping up to join Lewis Cousins to form a Co-Event Director team at Didcot parkrun. 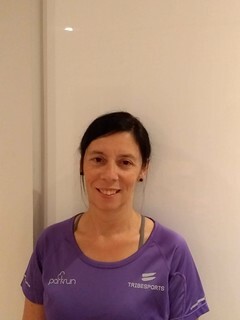 Helen has been a big part of the Core Team behind the scenes and will help us further enhance Didcot parkrun. 1) How did you hear about Didcot parkrun? I heard about Didcot parkrun before it started as I know the guys who worked very hard to set it up. I came along to run the course when they tried it out. 2) What did you do on a Saturday morning at 9am before Didcot parkrun? Honestly? I'd still be in bed. 3) Your Barcode - is it paper, laminated, permanent or other? I have a laminated barcode and have recently purchased a lovely apricot flatband. 4) Do you have any parkrun goals? 5) Do you have a favourite parkrun moment? Far too many favourite moments to choose from, people doing their first ever runs & milestone runs, all very special in different ways. 6) Has parkrun changed your attitude to running, fitness and general wellbeing? 7) What advice would you give to someone considering coming to Didcot parkrun? 8) Which do you prefer……Laps on the field or the long path to the finish? 9) What’s your favourite volunteer role? Hard to choose between Run Director & timekeeper ... Being at the start of the run, people chatting, familiar faces, lots of smiles and then being at the finish, sheer determination, sprint finishes, lots of smiles, what’s not to like. 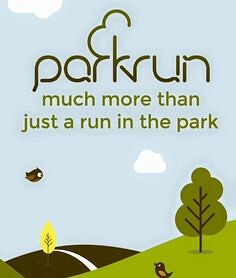 10) What is your favourite parkrun to date? I think it has to be the Didcot parkrun inaugural event on the 21st February 2015, seeing 238 runners turn up after all the guys hard work was brilliant. 11) Describe what parkrun is to you in three words? 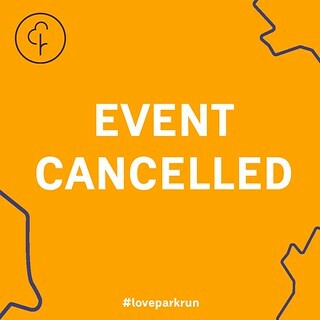 We're having to cancel the event on Saturday 30th March 2019 due to Hatwells Fun Fair using Ladygrove Park and the start of Didcot parkrun. Please check their websites for any cancellations too as we don't want you having wasted journeys! Thanks for your understanding and see you soon. This week 316 people ran, jogged and walked the course, of whom 55 were first timers (with 30 taking in their 1st ever parkrun) and 60 recorded new Personal Bests. Representatives of 30 different clubs took part. Congratulations to the Harwell Harriers ‘Beginners & Back to Running’ groups who graduated following a 10-week course. We hope to see many of you joining us at Didcot parkrun as you continue your running journeys. We look forward to seeing you in your fab parkrun milestone t-shirts soon. Today's full results and a complete event history can be found on the Didcot parkrun Results Page. The male record is held by Jonathan CORNISH who recorded a time of 15:58 on 15th April 2017 (event number 106). The female record is held by Izzy FRY who recorded a time of 17:40 on 7th October 2017 (event number 131). The Age Grade course record is held by Tracey LASAN who recorded 88.29% (21:04) on 7th May 2016 (event number 58). So those are the official stats of the run, but in my opinion it is the people behind the statistics that make the real difference. After Didcot’s first parkrun of 2019 I was in the clubhouse. I was drinking tea, eating cake, chatting and probably token sorting, when it came up in discussion that Harwell Harriers were running a 10 week “Start to Run and Return Run” course. As all the Harwell Harriers I know have always been extremely encouraging, I quietly expressed an interest in joining the course, and was told in uncertain terms that I should. After 2 years of having a go at running 5k at parkrun, I had never got past Brind Corner before I walked. I thought just maybe, by joining a group of other “Learners” with coaching from a professional and lots of encouragement, I might be able to do this! Over the last 10 weeks, there have definitely been more ups than downs, and by recognising my mental barriers, such as never having run a lap of the field, and feeling ok about asking for extra help when I needed it, as I knew I wouldn’t be judged, I arrived at Didcot in time for the volunteers briefing, which for me is an achievement in itself! Our RD Gordon, was as organised, cheerful and efficient as ever, and as this was my 50th volunteer, I recognised lots of our merry bunch, which included our local legend Geoff, and 25th volunteer Aileen Time-keeping, lots of Harwell Harriers, those who have returned to volunteering after The Slimming World Take Over, The Frost Family who were all ready to tailwalk, and The Poulton family who covered 2 marshal positions and provided delicious home-baked cakes! As the other volunteers went off to fulfil their roles, parkrunners started to arrive. I always think that those that arrive early have probably travelled a distance, and are First Timers or Tourists, so they receive a special welcome. Soon the other members of my group arrived, and we had a quick group motivation, and had the chance to buddy up with Harwell Harrier who was going to informally pace us to a desired time, and a photo before heading to the first timers briefing for those that had not been before. An enormous group of 55 ran their first Didcot parkrun, it was the first parkrun for 30 of them. It was a windy morning and Gordon went to the back of the field to deliver his run briefing. Before we knew it we were off. Others had time targets to aim for and had their pacers with them: this was the feedback from Leanne “A huge HUGE thank you to Steve from HH who motivated me and paced me round the course. I couldn’t of done it in the time I did without his patience, coaching and kindness. He even put up with my demands of ‘slow down’ ‘go ahead of me’ ‘now go behind me, make me feel faster’! What a legend! Thank you for helping me achieve my time, I really didn’t think I had it in me but he (and the rest of the HH gang) helped me believe in myself.” Many of our group achieved their target time, and as they stayed at the finish line to cheer all the other finishers home, our run leaders and pacers simply turned around and went back around the course, to encourage the next runner’s home. My target for the today was to get around without walking, having run my 4k last week as laid out in the training program, then walked for 5 minutes before running the extra to the finish, I believed I could do this. Carol, accompanied me every step of the way, and just chatted away to me, providing a perfect distraction to any negative thoughts I might have had. The marshals were, as always, fantastic, lots of smiles, applause and encouragement. This was my 25th parkrun and my 50th volunteer, so I had lots of shout outs and cheers around the first 2 laps from passing and overtaking parkrunners who I have got to know over the years. One of the things about learning to run, is that everybody is so positive, it seems they can all remember when they were new to running and how much of a mental battle it can be persuading yourself that you can do it! My nemesis, the third lap, can be very lonely, and is without fail my slowest kilometre. This is when I am particularly grateful for the marshals on the field, who maintain their enthusiastic encouragement, no matter how long they have been out in all elements! Starting my 4th k, I knew that I was on the yellow brick road and on the way home. Steve came back and joined Carol in escorting, encouraging and distracting me as did Charlie. With the finish line in sight, they all peeled off and let me have the glory of running towards the finish line where a crowd of my course mates and others were waiting, cheering loudly. As a regular late finisher it was absolutely lovely to have so many friendly faces at the finish, some weeks it is only the volunteers that still remain, I was quite touched to have had such support at the finish. I’d done it, I run 5k, it wasn’t fast, it wasn’t pretty, but it wasn’t walking! We then had a group shot with the selfie frame, and headed back to the clubhouse for what turned out to be a fantastic presentation. Poor Emma was a bit shocked to see so many of us back for refreshments, and if we ever have such a big group going back, she coped admirably with the rush. There was a lovely buzz in the clubhouse as presentations, including chocolate 5k medals, certificates, cards and flowers were made. I think there will be some more regular parkrunners following this course. I am sure other clubs run start to run groups, and I would say that doing this as a group has been invaluable. We have shared our moments of glory, our injuries, and have had the support of more experienced club runners who have always been totally encouraging. If you have thought about joining a running group, don’t be scared, be brave and give it a go, there is so much to gain. It is also worth saying that over the last 2 years, the people I have met through parkrun have all been supportive, no matter if they are a club member or not. Our local parkrun community should be proud of the support it offers to everybody, not matter what! I’m not sure what will happen next in my running journey, I have missed some of the volunteer roles, and have noticed a new volunteer role at Didcot that I do not have my challenge badge for, I like the idea of some tourism, but do still get a bit anxious about going to different places, and aiming for a new PB should be achievable……hopefully sooner rather than later! Have you ever had one of those mornings when you feel like the universe is against you? Ever the optimist, I know that it's not but working through the parkrun alphabet challenge, my closest letter “D” is Didcot, about an hour’s drive away. I like to arrive in plenty of time so set out nice and early this morning, but today, spent what seemed like forever behind a learner driver. (I have nothing against learner drivers, we all started as learners but travelling for miles, at 15 miles an hour while watching the clock can test the patients of a saint). We finally joined the A34. The fog conditions were so dense, that being a safe driver, I found myself taking it very easy (much like my running) while the faster, more confident drivers zoomed pass me at speeds that’s I find incomprehensible (much like my running). We found the venue with no problem at all. Parked up on the large football club car park and found the toilets (an integral part of my parkrun tourism). We then followed the crowds to a gathering where the volunteer’s directed me to Helen, todays RD. Helen was extremely warm, friendly and welcoming. We joined a bunch of fellow tourists, today travelling from High Wycombe and Grantham (I will have to investigate Grantham as I haven’t done my letter “G” yet) and first timers for the all important brief. We then joined the main brief where we were able to show our appreciation to all the volunteers AKA the High Vis Heroes. Gavin Warrington was today performing his 25th volunteer duty so a massive thank you and well-deserved round of applause to him. We also congratulated and applauded some 50th milestone runners. Nichola Poulton ran her 50th today and bagged herself a new PB! Matthew Shepard, Sharon Buddle, Peter Bradstock and Ignacio Medina-Arias also joined the 50's club today so huge congratulations to you all. There wereno 100 milestones today but one parkrunner ran her 99th so there may be cake next week? The course was what I would call a nice easy course. 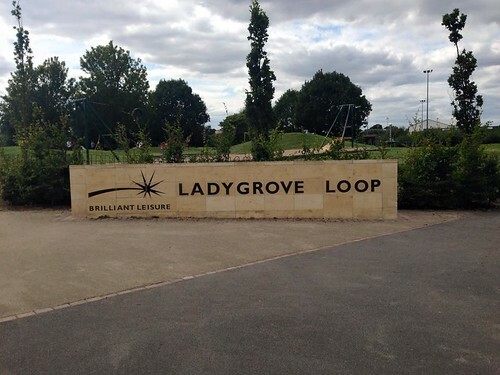 Situated around Ladygrove park, its three laps of a large playing field, grass, soft and firm underfoot, followed by a final big lap, past a fabulous looking skate board park, on flat foot paths to where we could at last, get close enough to see through the fog at the pylons and the finish funnel. Everyone was cheerful and encouraging at the end and it was nice to then relax and chat with some runners. The finish line is not at the start line so after we passed some very pretty lakes, we found ourselves running up some large mounds to find our bearings. This gave us a nice opportunity to have a birds eye view of where we had just run. That’s a first for me. I thoroughly enjoyed Didcot today and as always, it felt great to be part of the 325 people that ran, jogged or walked the free, timed, weekly 5k event today. Thank you to everyone for making us feel welcome.